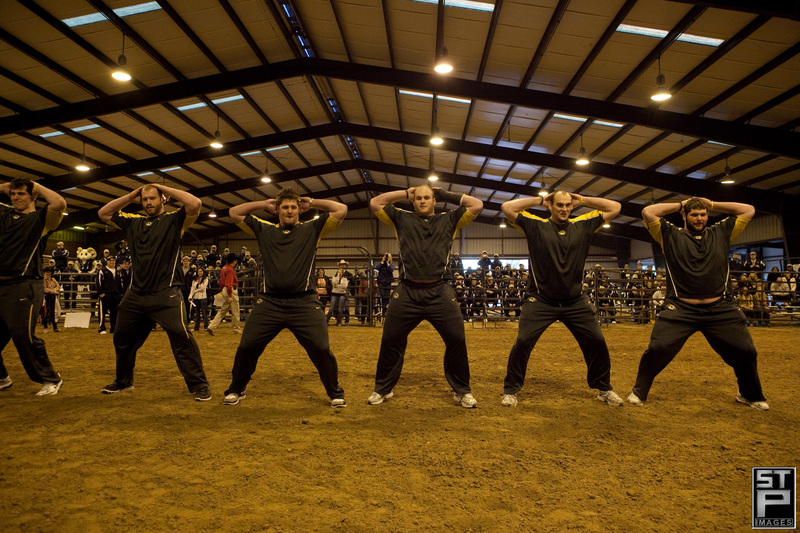 Bowl season seems to get bigger and longer each year and the Texas Bowl has been part of that growth. 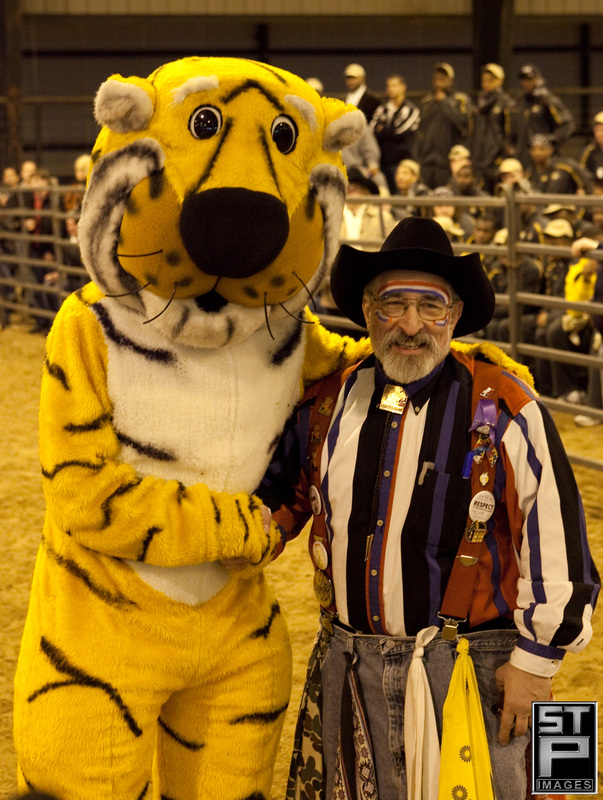 Each year, as part of the Texas Bowl preliminary activities, the Houston Livestock Show and Rodeo chips in to hold the Rodeo Bowl for the participating teams at the George Ranch Historical Park and STP Images was there to capture the event as a member of the Speakers Committee. 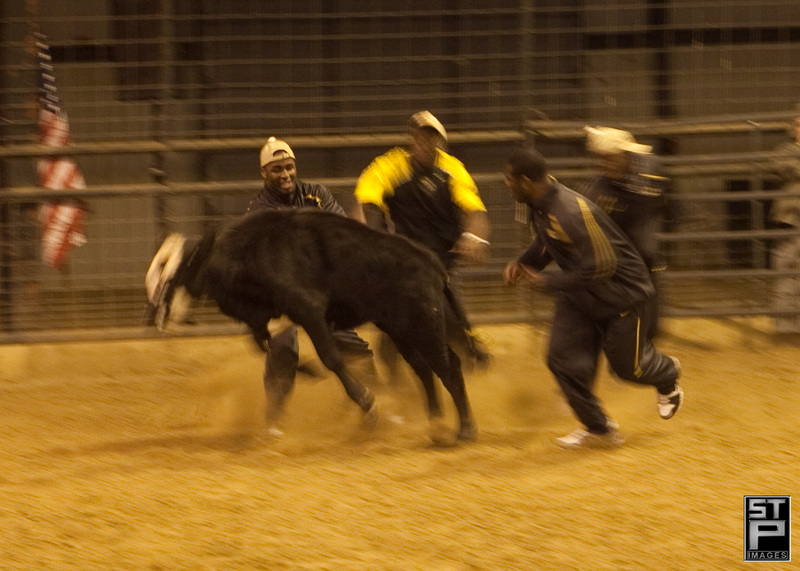 The Rodeo Bowl is essentially a fun way for the players to interact with one another and to prepare for the gridiron competition on New Year’s Eve through pseudo-rodeo events such as stick horse races, hay bale tossing, calf penning, mascot roping, chalk branding and the always popular lineman touchdown dance. 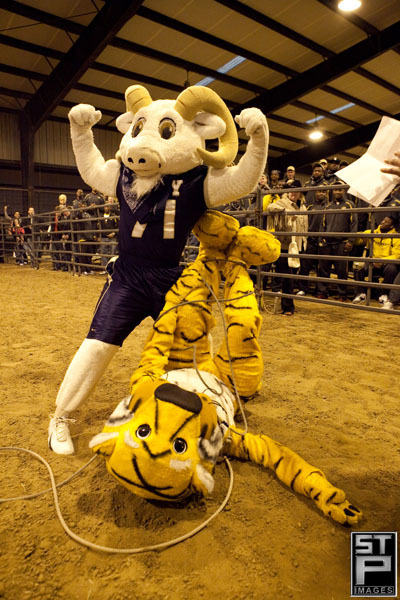 This year’s participants, the Navy Midshipmen and the Missouri Tigers, had a blast and the competition was as tight as it’s been in the four year history of the Rodeo Bowl. 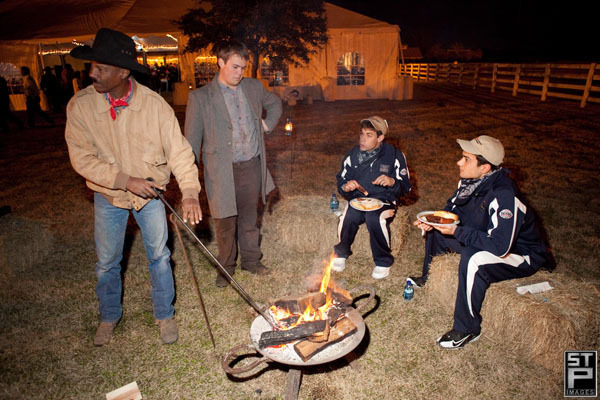 Following the rodeo arena competition, each team was treated to a great meal catered by Demeris Barbeque. During the dinner, team members could also get a memento of a brand of their team’s logo to take with them. 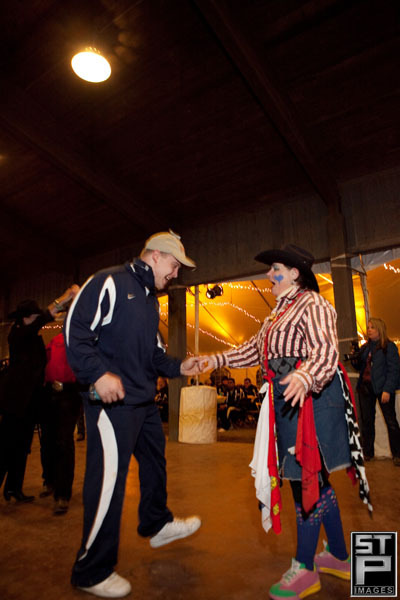 There was a band and a few brave Midshipmen and Tigers made their way to the dance floor for a little two stepping. 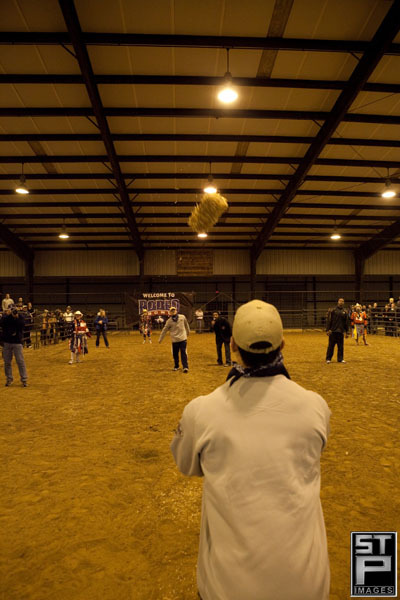 It was a great night of competition and fun and if the Rodeo Bowl is any indication of how the Texas Bowl will shape up, this should be a great game! 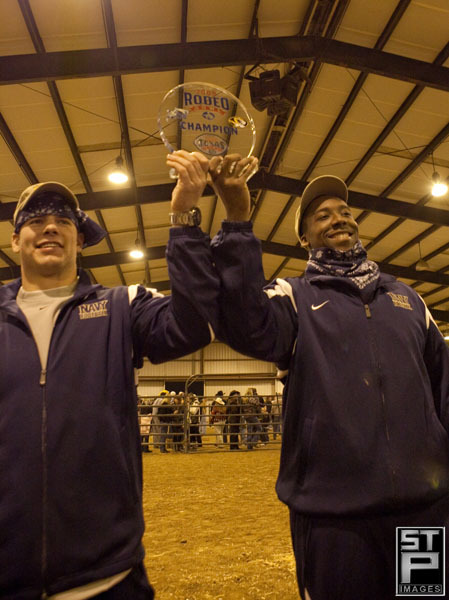 Take a look at a few of the shots from the Rodeo Bowl below. 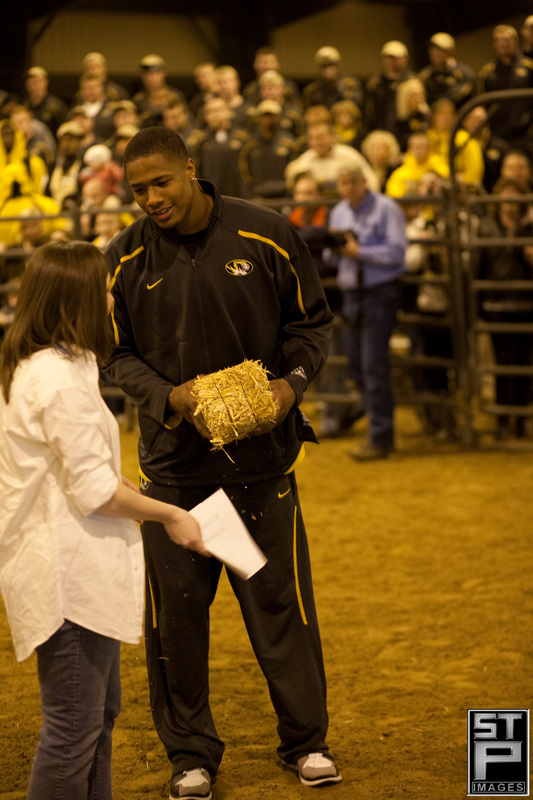 TO SEE ALL THE IMAGES FROM THE RODEO BOWL, CLICK HERE. Next Seniors 2010 – time to get busy!